The art style, the backstories, the balance between comedy and thrill... BRILLIANT! I love this show so much, and it's definitely a five star rate. You still get your awesome fighting moments, but also your funny, laugh out loud moments! It never gets so intense to where it's just all-out too stressful and "into the plot" to continue watching, which is a big problem for me in most other anime. But this one is a PERFECT balance, with great additions of dark undertones and genuinely funny spikes! This was one of the first manga series I bought, and read the entirety of. This series masks a far deeper story then just a god trying to become famous. In it you'll find stories about found family, breaking the cycles of abuse, and growing up. The artwork and characters are fascinating, and the fusion of Shinto Beliefs into modern urban fantasy make for an excellent story. This story is about a god named Yato who wants to become a rich and famous god.So he dose simple request for about 5 yen.Im also currently reading the manga and it’s also amazing.More of a summery a girl tries to stop Yato from getting hit by a bus and pushes him out of the way and she ends up being between both worlds of the living and dead.I highly recommend this series. Amazing series with one of the most touching plot lines. Few series make me feel driven to purchasing the box set after watching, however, the artwork in this series was so amazing that I felt compelled to get them. The fairs and challenges of the characters are refreshing compared to the cookie cutter storylines of a lot of the more modern series. Honestly, if your looking for something funny yet cool and sometimes serious, THIS IS THE ANIME FOR YOU. I can not recommend this enough, if you love comedy, this is perfect for you. Its kinda a slice of life comedy, but mostly just a normal comedy with PERFECTLY timed jokes. This is one of my anime. I was so happy that they made a second season.The characters are well developed and have a lot of personality. They all have motivations for their actions. I also think it is pretty fun that Yato is perceived as such a loser. The series strikes a good balance between comedy and drama. Soooo Good, well worth the watch! I absolutely love this anime! 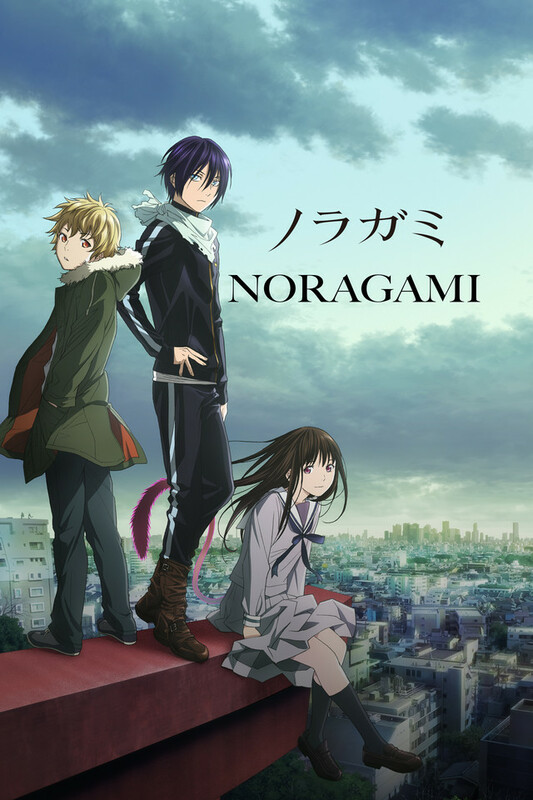 As of now in late 2018, Noragami has been my favourite anime/manga for about two years. The manga was on a year-long hiatus and many thought it was dead until it started up again last summer. The animation is great and there are not that many series of which I can say I regularly enjoy watching instead of skipping. Thus far I have enjoyed the story progression and the female character Hiyori is not flat. Love, Love, Love, Love It!!!! This one is a delightful treat. Characters are all, mostly, bursting with personality and the story is highly intriguing. Not to mention that first season's kickass OP, am I right? I feel that season two leaves a little more to be desired, but that's only natural for series that're dying for a third season I guess. My one and only complaint would Hiyori as character herself. I feel that she isn't nearly as interesting as the rest of the cast, which makes her come off as uninteresting to me. Minor deities, they are to be forgotten, lost forever. Yato, the self proclaimed “Delivery God”, is in such a predicament. Without a shrine, or followers, he wanders trying to spread his name by any means necessary. Fortune changes when he meets eye to eye with Hiyori Iki, A middle school girl whose soul became loose because of their meeting. An entertaining story of gods and mortal beings, and how their mutual bonds give them purpose and life.